Its just about done!! 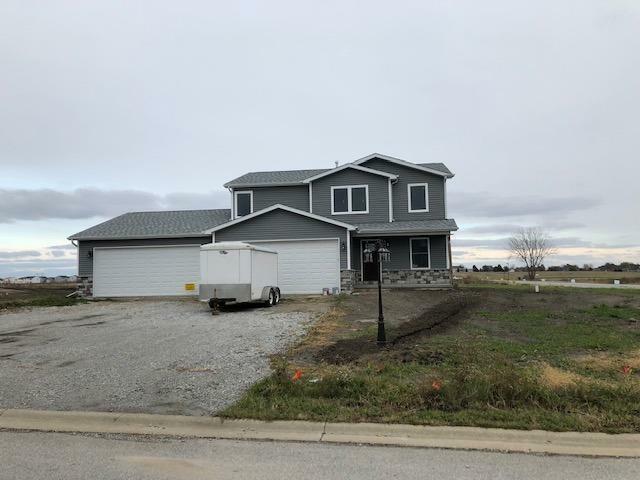 TOTALLY LOADED This is our last home available in Misty Glen... Quality materials & custom selections brought to you by MEEKS CONSTRUCTION and this model boasts a TON of design features inside & out with all the add ons and options ...THE WORKS! HUGE 4 car FINISHED garage and upgraded EVERYTHING incl oversized doors with HOT & COLD Water ...Inside it keeps going; custom open loft with rails, master tiled shower w/walk-in closet & dbl vanity, doors, hardware, fixtures, plumbing, lighting, cabinets, (Still time to pick your counter-tops) and LOADS more to discover. 2nd story Loft + finished laundry.. LAST HOUSE- LAST CHANCE - Tours starting now - NEED APPLIANCES? THEY CAN BE ROLLED IN TOO! No Basement but this home was built with STORAGE galore in the pre-designed storage trusses above the garage. Full width drive w/extra parking & RV Hookup! Main floor master & open concept kitchen /Living LOADED w/ recessed lighting. Ask an agent how to get close cost$ paid for! Directions:173RD East of Parrish to Schubert. Home is at NE corner.